Here is a small list of other sites that might be of interest to DCC customers. Some are organisations that we have made charity products for and others are just ones that we want to support. All can continue to benefit from your support. Please donate by following steps on their websites. We like to support fellow Feminists and provide useful information. STAMP is a project run by young people for young people which challenges gender stereotyping in the media and promotes more positive use of the media. Refuweegee is a community-led charity set up to ensure that all refugees arriving in Glasgow are welcomed to the city in true Glaswegian style. We want to make sure that when people arrive in Scotland they receive the welcome they deserve and few useful tips too! We also want to provide everyone who wishes to get involved and make a difference, the opportunity to do so. Scottish Trans Alliance is a national project which works to improve gender identity and gender reassignment equality, rights and inclusion in Scotland. 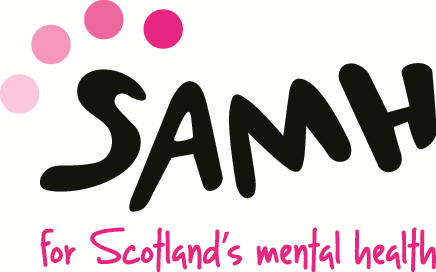 SAMH works in Scottish communities to tackle mental health issues including suicide prevention, addiction, homelessness and supported accommodation.